Kenya - In 2015 five countries in the Horn of Africa – Djibouti, Ethiopia, Eritrea, Somalia, and Sudan – experienced a marked increase in irregular migration by land and sea from a year earlier. The increase is drawn from five indicators: (1) Arrivals in Yemen from the Horn of Africa. (2) Arrivals in the Horn of Africa from Yemen. (3) Arrivals in Europe. (4) Migrant deaths. (5) Nationalities on the move. 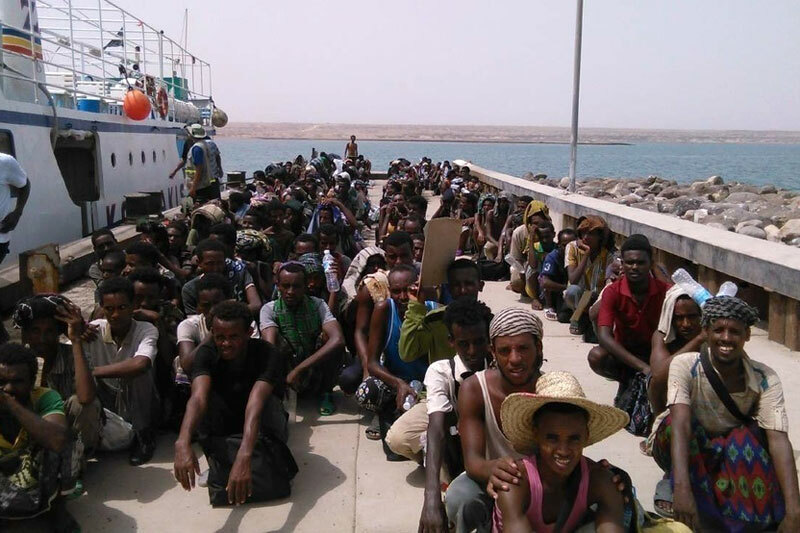 According to the Nairobi-based Regional Mixed Migration Secretariat (RMMS) and UNHCR in 2014 91,592 migrants arrived in Yemen by crossing the Gulf of Aden from Somalia or the Red Sea from Djibouti. In 2015 this number rose marginally to 92,466. The increase is surprising given that the Yemen conflict that started in April – and continued through the rest of 2015 – but apparently did not deter migrants from migrating from the Horn of Africa to Yemen. Some analysts speculate that the power vacuum in Yemen caused by the 2015 conflict between government and rebel forces, which resulted in diminished law enforcement, may have actually attracted irregular migrants. In 2015 almost 90 per cent of those arriving in Yemen were from Ethiopia, the remainder from Somalia. Conversely, IOM’s Yemen Crisis Situation Reports show that 72,308 migrants arrived in Djibouti, Ethiopia, Somalia, and Sudan from Yemen in 2015. Virtually all of these individuals journeyed from Yemen by boat and then road. In 2014 there is no data on migrant arrivals in the Horn of Africa from Yemen as the number was so low it was deemed negligible. Combining the number of migrant arrivals in Yemen and the Horn of Africa in 2015, results in over 164,000 individuals on the move. Despite this unprecedented figure, the number of migrant deaths at sea in 2015 in the Horn of Africa decreased from 246 in 2014 to 95 in 2015, a 61 per cent reduction. But 36 migrant lives were lost in the first week of 2016 in the Gulf of Aden, as reported by IOM on 12 January 2016. The Horn of Africa was also a major source of migrant arrivals in Europe and deaths in the Mediterranean in 2015. In 2014, 210,000 migrants arrived in Europe, mostly through Italy and to a lesser extent Greece. In 2015, the total number of migrant arrivals in Europe jumped to 1,011,712 by sea, a 382 per cent increase from 2014, according to IOM’s Missing Migrants Project. Over 80 per cent of the arrivals in 2015 were in Greece and 20 per cent in Italy, a marked switch from 2014. The absolute number of deaths of migrants in the Mediterranean increased from 3,279 in 2014 to 3,771 in 2015. But the percentage of Mediterranean deaths to EU arrivals decreased from 1.5 per cent in 2014 to 0.37 per cent in 2015. This indicates an extremely high aggregate “success rate” for the large number of migrants who survived the sea-crossing and entered Europe. Eritrea was the leading country of origin for migrants arriving in Italy, with over 37,000 Eritrean migrants arriving in 2015. Over 11,000 Somalis and almost 9,000 Sudanese also made it to Italy. This represents over 66,000 migrants arriving in Europe from the Horn of Africa, or 6.5 per cent of overall arrivals. Of the 3,772 migrants who drowned in the Mediterranean in 2015, 359 were from the Horn of Africa and 1,220 were from Sub-Saharan Africa. The remaining 879 originated from the Middle East or North Africa. For further information please contact Craig Murphy at IOM Kenya, Email: cmurphy@iom.int, Tel. +254.717711822.